On Friday, May 14, LABBB Collaborative hosted a Brain Frame Workshop with Dr. Bonnie Singer. Dr. Singer is the President/CEO of Architects for Learning. She is also the co-developer of the EmPOWER method for writing. The LABBB staff were fortunate to have such a high level of expertise teaching these skills in a small group seminar. The workshop was very informative and two more follow up workshops for Brain Frames will be held in the Fall for LABBB staff. Brain Frames are a collection of six visual-spatial displays of language and thought. They represent (graphically) fundamental patterns that underlie, listening, speaking, reading, writing, thinking and problem solving. Literally, they allow Teachers and Students to “Frame” what is in their minds within a visual pattern. This allows them to store their ideas on paper so they can decide what they want to convey. Student choice of Brain Frame is dictated by what they are setting out to do: tell about something, compare and/or contrast two ideas, convey a sequence of events, show relationships and connections, consider causes and/or effects of an event, or categorize information. Each of these “purposes” has a unique organizing framework that can be displayed graphically. We want to welcome you the LABBB Recreational Blog hosted by Paul Rizzo. This Blog will give parents information about all the recreational activities and social events that are run by the LABBB Collaborative Program including: after school programs, evening activities, Dances, Special Olympics, away trips and all the other events that Paula organizes during the year. The recreational program has been a very popular feature of the LABBB Collaborative Program for many years and we feel that this blog will be a great informational site for students and parents. Parents will also be able to download flyers and registration forms for all the activities. We hope that this is a feature that helps communication and makes it more convenient for everyone who participates in the LABBB recreational program. To view Paula’s recreational Blog go to the LABBB website, http://www.labbb.com and you will see “LABBB Recreational Activities Blog” on the home page. On Friday night, March 27, the LABBB staff played a street hockey game vs. the Lexington High School hockey team for a LABBB fundraiser. This was not a pick up hockey game, it was serious street hockey consisting of two 30 minute periods. The LABBB staff were motivated to win!! Four years ago the LABBB staff lost a close game vs. the Lexington High School Hockey team after they were winning for more than two thirds of the game but just could not keep up until the end. This year was different. The LABBB staff took the early lead and kept the momentum going throughout the entire game. The High School team was clearly surprised. The LABBB staff took an early 3-0 lead behind the solid goal-tending of Matt Bencal for the first half. Paula Rizzo started in net for the second half of the game for the LABBB staff and let in an early goal but she regained her composure and played consistently for the rest of the game. The LABBB staff pulled ahead by 6 goals and never looked back. It ended by a 12-5 win by the LABBB staff. Thank you to everyone who help out that evening. It was a fun event and we look forward to it next year! We’ve had a great year at the JGMS LABBB Program. Students have been participating in a variety of different things. We have worked hard and included some fun activities. This Fall we went to Smolak Farm in Andover. We learned about the history of the farm and went apple picking. As part of our cooking class we made apple crisp in the classroom. The students enjoyed making and eating it! As a class, we are part of an ongoing project within John Glenn Middle School. We are reading a given number of books suggested by the librarian. Students will participate in a Comprehension Challenge in which they could win an ice-cream social at the end of the year. As part of our unit on the Revolutionary War, we visited the Heritage Museum in Lexington. We saw the exhibition “Sowing the Seeds of Liberty” and experienced what life was like in New England during that time period. The entire John Glen Middle School took part in “A Day of Respect” in November. This included presentations on character building, group activities and discussions. December was an extremely busy month. We saw the Nutcracker ballet and completed a unit on Winter Traditions. A number of parents came into the classroom as “Guest Chefs” to cook and teach the students about some of their family traditions. We compiled a recipe book to share with our LABBB classroom families. In addition, we were very proud to participate in a charity fundraiser for families in hardship. Students participated by doing additional chores around the house as well as giving up snack money to help this cause. We proudly raised over a $160!! With this money we were able to purchase many toys for a four-year old boy. We also attended an assembly where all of the fundraisers donated their gifts and then attended a holiday concert at Waltham High School. We look forward to many more enriching activities during the last half of the year! This substantially separate middle school classroom (grades 5-8) is currently comprised of a diverse group of students with varying abilities which include: developmental disabilities, learning disabilities, autism spectrum disorders, attention deficit disorders and emotional disorders. The classroom focuses on a combination of traditional and functional academics. Students are provided access to the general curriculum modified at their current level of functioning in a multiple modality format at a modified pace and structure. Students also learn test taking strategies and stress management/coping skills in preparation to take the Massachusetts Comprehensive Assessment System testing. We incorporate executive functioning strategies such as organization, time management, meta-cognitive and self-monitoring skills throughout our day. Functional academics include the skills necessary for students to access their environment as independently as possible. This is addressed through simulated activities within the classroom, as well as community experiences to promote generalization. All specialists (speech therapist, occupational therapist, counselor, physical therapist) are integrated throughout the day, in addition to their own scheduled classes throughout the week. Some students attend regular education classes with support provided within the LABBB classroom. Regionalization of small school districts has been a hot and controversial topic recently; but as many school districts face difficult financial challenges they have had no other choice but to consider alternative options for cutting costs. Small school districts are most affected because of a lack of economies of scale and collaboratives just may be a solution to this dilemma. The Massachusetts Organization of Educational Collaboratives (MOEC) recently published a white paper called Educational Service Agencies in Massachusetts: Building Capacity in Small School Districts. The paper first outlines the myriad functions of Collaboratives and the cost savings they have provided for their member districts. Secondly, the paper compares and contrasts Massachusetts Collaboratives with other Educational Service Agencies (ESA) models that are used in other states. Lastly, the paper proposes an optimal Collaborative model in Massachusetts called, Collaborative Regional Organizations (CRO). This model proposes that if collaboratives work together regionally; provide a specialized function for that region, and at the same time be accountable, we will maximize costs savings for small school districts. The opportunity for collaboratives to serve as a vehicle for economies of scale with the increase budget constraints is timely and all collaboratives in Massachusetts are ready to serve this function. Although collaboratives have been around for more than 30 years, the state has recently become more interested in the collaborative model. This recent “buzz” has brought recognition to collaboratives and district administrators are becoming mindful of a unique role and expertise that these 29 Educational service agencies in Massachusetts can provide.. If you are interested in reading the white paper click on the link below. The score says it all, LABBB Students 86, Staff 82. It was a close game but the students pulled it out in the end last night in the annual Student vs. Staff basketball game. As always, both teams played hard and the students just came away with the win. The staff, led by Coach Tom Brincklow, will need to do some thinking in the next year because the staff have not won a game in 10 years. Mr. Brincklow was clearly disappointed, nevertheless, he will be back with a new strategy for the next year. Coach for the students, Mike DiCenso, on the other hand was very please with the students performance. Congratulations to all the students! As always this event was a big success. Paula Rizzo has been organizing this event for many years and each year it runs smoothly. The event raised approximately $1000.00 and will be used to subsidize student recreational activities. Thank you to all the other LABBB staff who helped out during the event, we could not of done it without all your help. The turnout was amazing and parents, family and friends filled the stands. I have to say one of the highlights of the evening was when the audio did not work to play our national anthem. The parents, staff and students in the gym realized it was not going to play and all at once everyone started singing the national anthem. It was a great way to start the game. 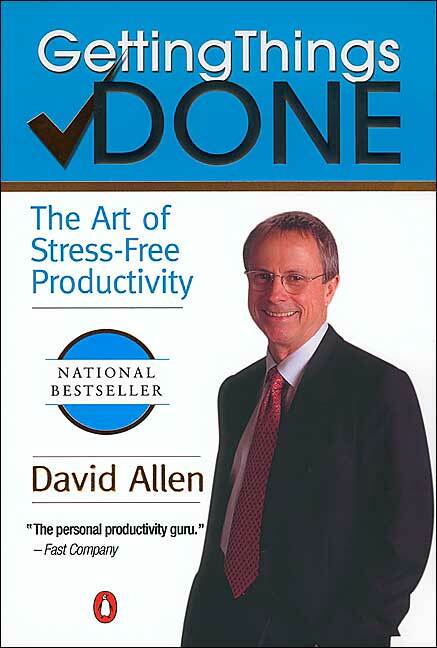 The book, Getting Things Done, by David Allen is a masterpiece that I just needed to share with you. This has transformed my thinking about actions. Learning and practicing the concepts of action based thinking changed my view of how I was evaluating my efficiency in my work. This was a true paradigm shift from typical organization books, do lists, and daily planners. I am sharing this book because if put to use, although it will take time, may have a significant impact on stress reduction and personal organization. We live in a world where information is coming at us faster and the need to respond seems to be adding to our stress. How do we compartmentalize all this? How do we process it? If you don’t know, then this book may be of use to you. The contents of this book takes practice and commitment, but if you want to try something new regarding organization..try it just might help.